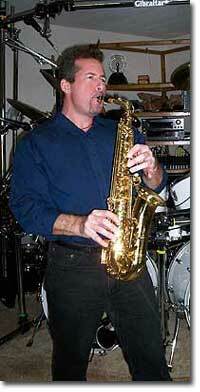 Saxophone Player based out of the Merritt Island, Florida area. Beginning Saxophone player in search for other musicians to play and learn with. For Patrick, attention to the music, consistency, and dedication are key, along with his easy-going attitude. Aside from learning Saxophone Patrick plays drums, bass guitar, keyboards, and is learning guitar. Playing other instruments and having experience with producing, engineering, and arranging music continues to create new sounds in his original music. But more importantly, it has become a contributing factor to how he approaches Saxophone techniques.